How often do your new prospective customers refuse to buy from you because they prefer to work with a more familiar company in the end? Now, how often do you think this same thing happens without you even realizing it, specifically in the Google Search realm, where your prospective customers perform a Google search for what you sell, with both you and your competitor listed there? Well, a recent study reported by Time showed that about one-third of consumers prefer to go with a more familiar option when being presented with a brand at a purchase, either just because it is a brand or potentially the product category itself, so your line of thinking may not be that far off. The fact of the matter is, without proper brand name recognition in Google search, you will always pay more to be placed in your prime search space if you are the one with the unfamiliar name, because of the increased click through rate your competitor gets. There is, however, something you can do to rectify this problem, and it involves specifically targeting those who already hold credence to your company, using Google’s cool search retargeting feature of Google AdWords, or RLSA. We will discuss in this article how you can develop relationships with your prospects before they need what you have to sell, so you can develop a more level playing field to operate from by being the one whose ad seems even more appealing than your envied competitor’s when the inevitable search comes. If you execute the things I list in this article, it is possible to transform a struggling search into a greatly profitable one, or at least one that gets much greater ROI. In many markets, many of your branded competitors will be using radio, billboards, and/or TV advertising to get their names out to the future purchasing public in a big way. While you may not have the budget to do this as well, you can still develop a trusted relationship with your prospects by being a lightning rod for information online, instead of using the spray-and-pray method your competitors use. 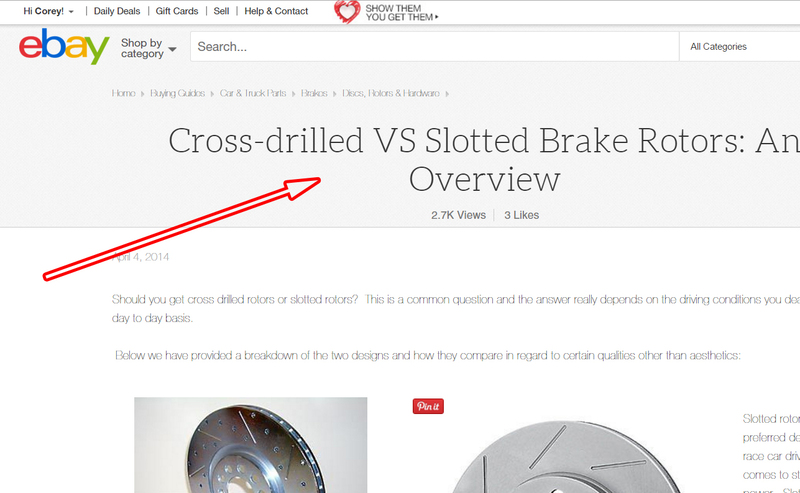 I once had the opportunity to sell high-performance brakes and systems for a client who sold these items. 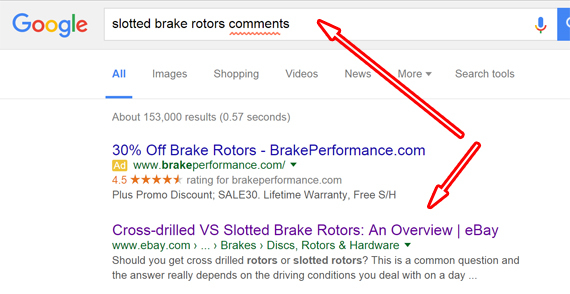 The first thing I suggested to my client was that we develop a content strategy centered around addressing most of the basic concepts that surround the best practices for selecting a brake system for a high-performance vehicle first, instead of solely focusing on search engine ads to increase sales. 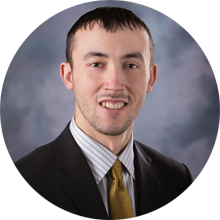 With the information at hand, I headed out to make sure everyone who actually wanted this info could find it, become a subject matter expert in the topic, and be the one who linked back to the content where our prospects had asked for this information. Most of our prospects who read our presented content were likely impressed and became a future target for our search retargeting campaign. This process in a nutshell is how yours and any other search based retargeting campaign should operate to generate maximize opportunities with any Google search campaign. 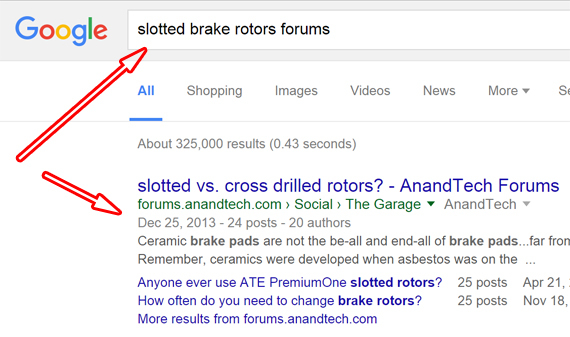 The easiest ways to find topic ideas for your content involves using Google’s “Instant” feature. As you can see, Google has already done the hard work for us ahead of time; all we need to do is simply choose from the questions listed, already ranked by importance. Even if some or all these questions have been answered by some of your competitors already, you can always do a better job than them. I have demonstrated on many occasions that is not difficult to do, even on a small budget, so please do not be discouraged if this is the case. Forums, blogs, YouTube, and Q&A sites are the normal places you want to look for opportunities to share the information you already created prepackaged answers for. 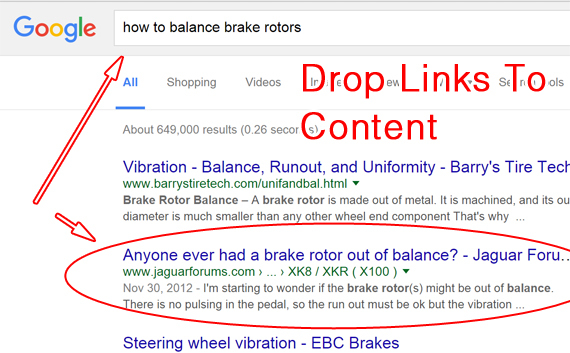 This will help find the perfect places to drop links to your content. Next, use a search tool like Mention.com to find real-time discussions regarding these same topics in social media and drop your links there as well. By focusing on exclusively seeding quality content, it is likely you can get your intended audience to share this content too, so it ranks organically, greatly enhances reach, and is exactly what you are after. It makes zero sense to write your content to be any less than amazing because of this fact. Pro Tip: Please do not perform these activities to directly increase sales. We are exclusively doing this activity to create a list of people who trust us, to build a prospect list, and to have the least chance of annoying the site owners who we need to accept our links. 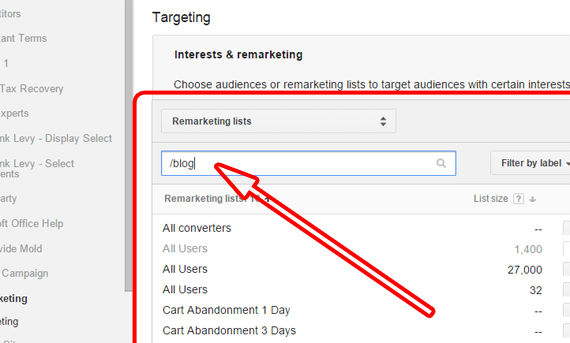 To ensure that everyone who reads your content is cookie’d for future remarketing, simply use the same mechanism you are already likely using to cookie users for your display remarketing campaign in the Google Analytics retargeting section. When you set up a Google Search retargeting campaign, you will want to segment out your retargeting audiences for each part of the website to take this strategy even further and maximize your campaign ROI. 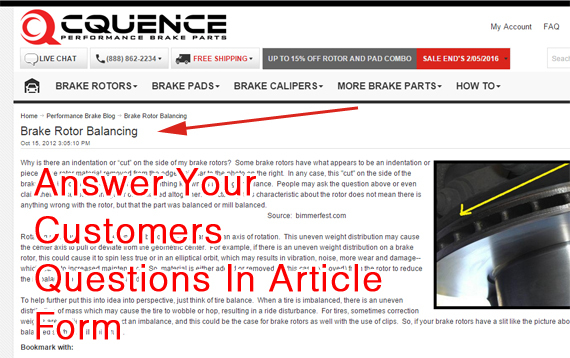 The closer the user has gotten to making a purchase decision, the more you can likely pay to advertise to this person as a rule. No one gets marketed to unless they’re shown statistically likely to generate campaign ROI. 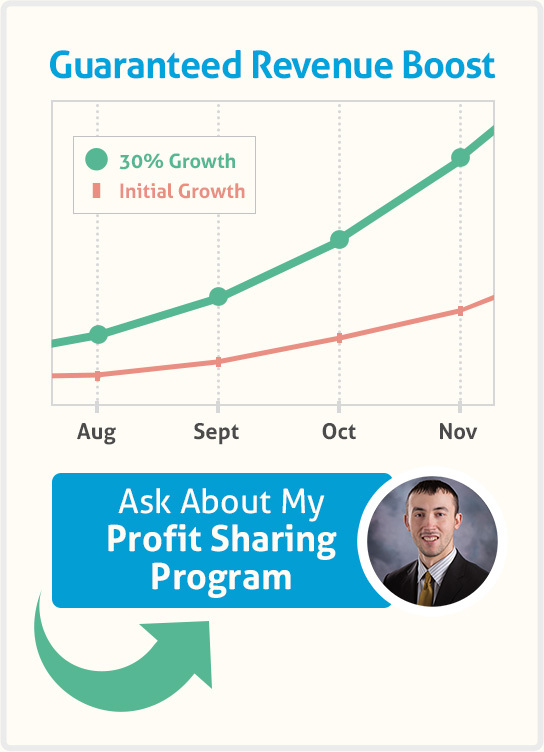 Turn a non-profitable campaign into a profitable one. 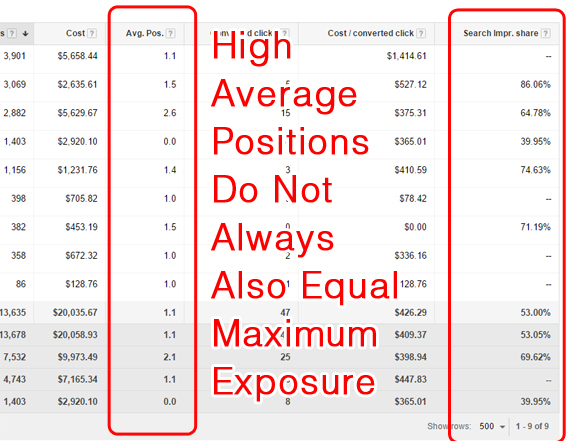 In many markets, if you simply place the minimum bid to reach the top three positions in Google search, you will only likely be receiving between 30 to 80 percent search impression share (link) in the search results. By bidding 100 percent more on your search retargeting list, you can likely double your sales volume while still maintaining a consistent campaign ROI. 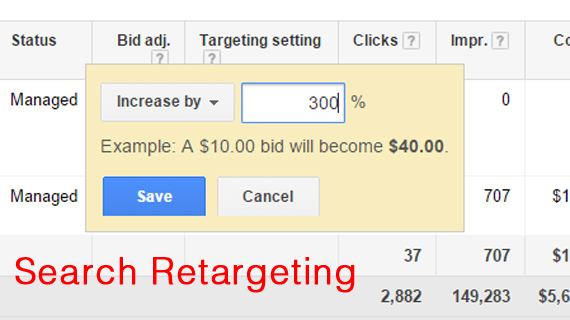 By bidding 40 to 80 percent more than your benchmark cost per click on your search retargeting audiences AND 20 to 50 percent lower for the rest of your search campaign, you can usually increase your campaign’s ROI significantly by focusing more of your monthly ad budget on what is converting and without decreasing sales volume. 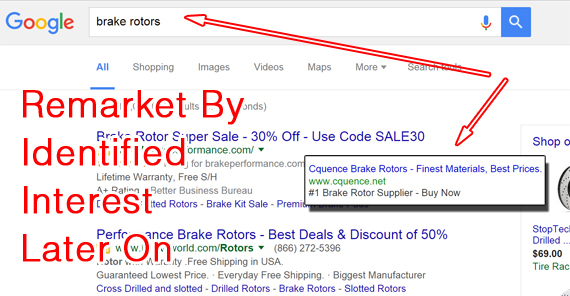 Of course, you can also likely take a completely unprofitable search campaign and turn it into a profitable one by only doing search based retargeting and tiering your bids — like I did in the example below — in just about any market, no matter how competitive. 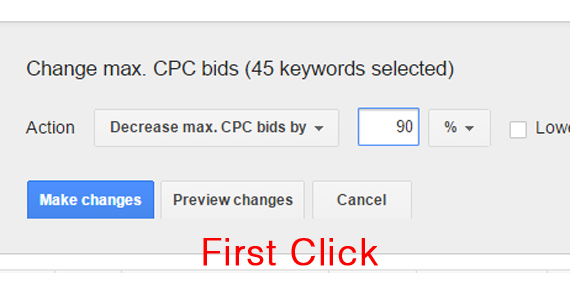 There is simply no reason why like in display, you have to do any first click marketing at all, or very little of it. 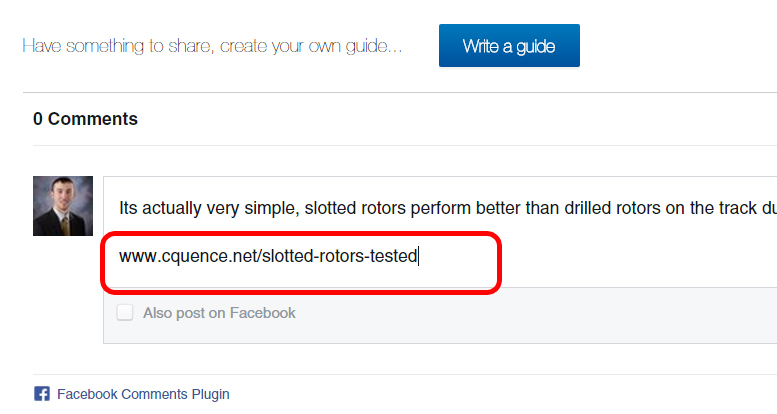 I use search based retargeting any time I can get my hands on quality content. If you can work your SEO program into what you are using with PPC, your PPC will become so much more profitable without having to invest in this strategy separately to get it to work. 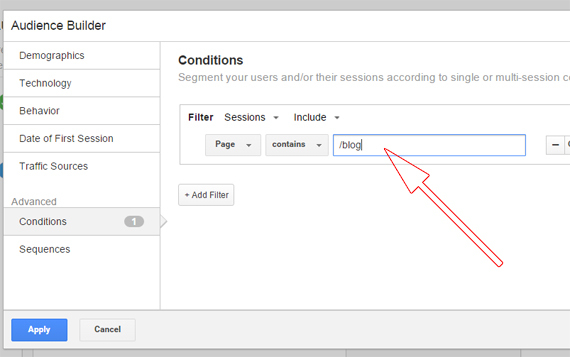 Search based retargeting is just as powerful as display based retargeting, so don’t neglect it!